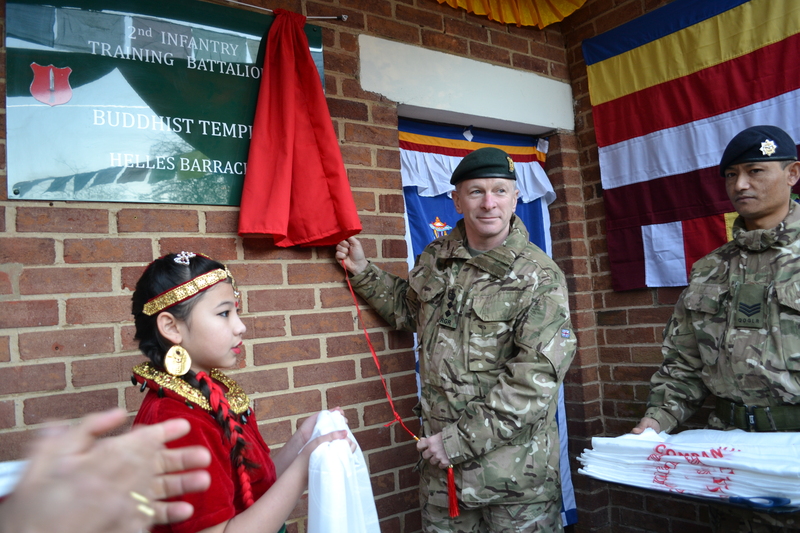 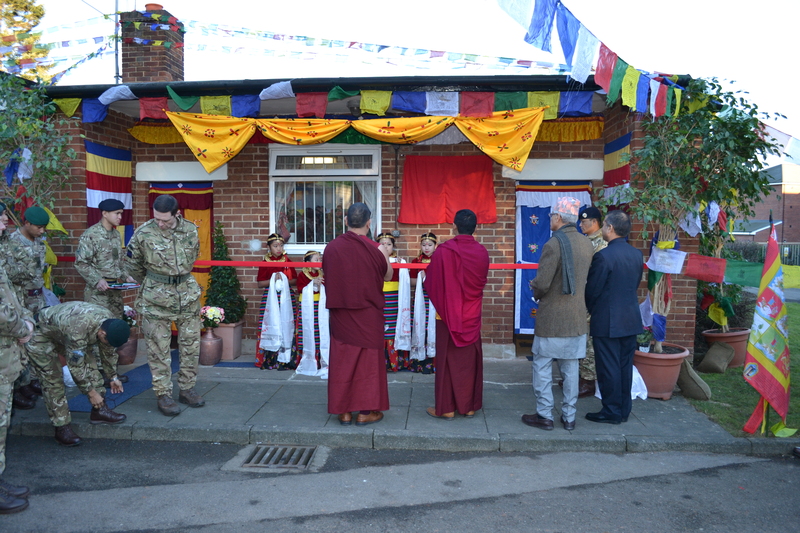 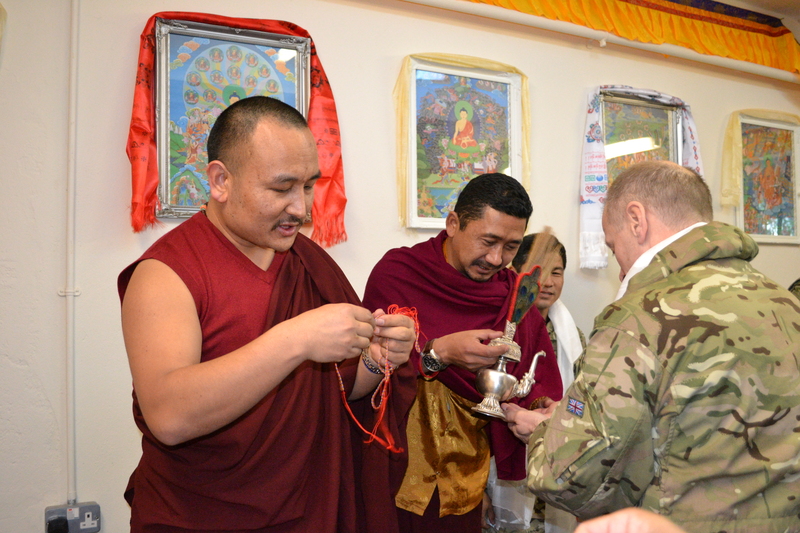 Colonel BG attended the opening of a new Buddhist Temple at Catterick Garrison barracks designed to welcome new Gurkha recruits. 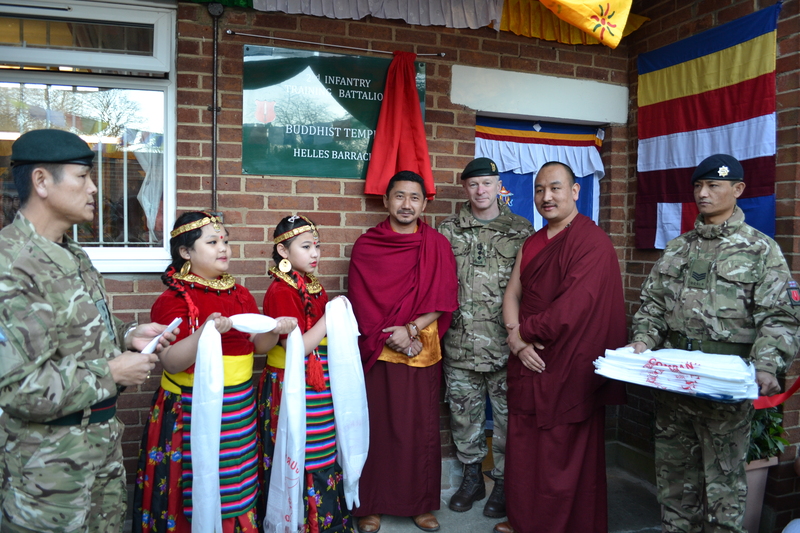 Gurkha Company completed the temple in the Infantry Training Centre after bringing statues of Lord Buddha, Dolma Taradevi and Guru Padma Sambhava, as well as other relevant items from Nepal. 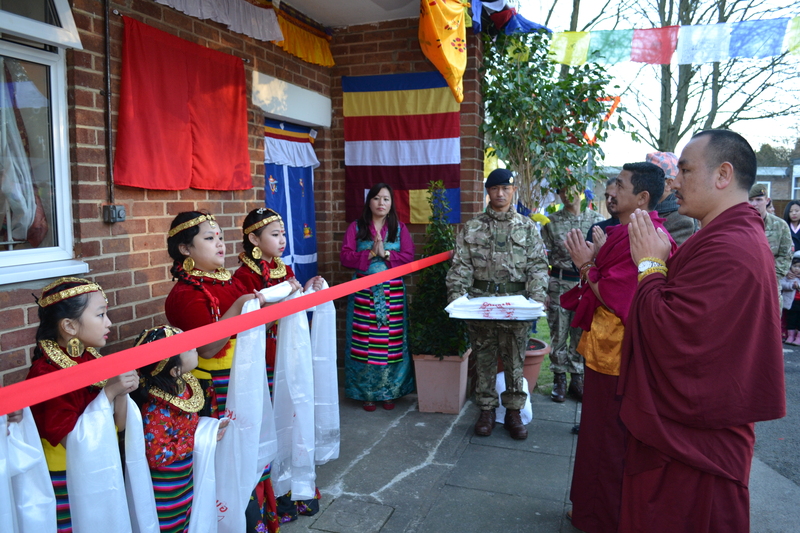 The 2015 intake of Gurkhas already arrived a month ago, but the temple will be used by the young recruits arriving in the UK for the very first time. 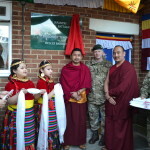 The temple is also used by Gurkha Company to hold social and religious activities, and during training Gurkha soldiers are visited by Buddhist religious leader Lama Guru, who explains the lessons which link to the British Army’s core values. 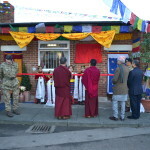 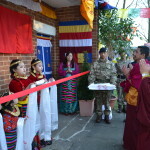 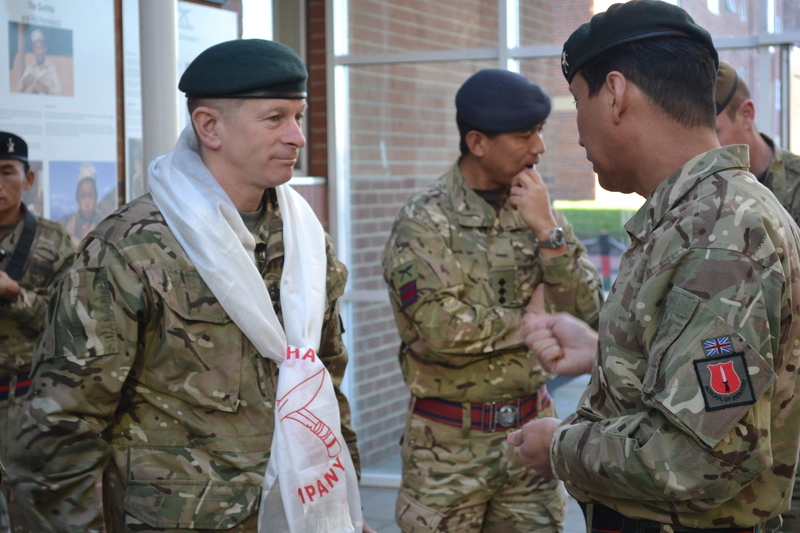 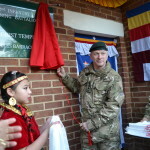 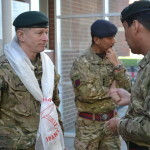 Around 300 people attended the opening and the guest of honour Colonel James Robinson, Colonel of the Brigade of Gurkhas, cut the ribbon to declare the temple open.